The case is critically important for the environmental future of SA, as it pits the supposed job-creating mining industry against nature. It is bizarre that SA’s department of environmental affairs is supporting a big, foreign mining company, which wants to put an environmentally damaging coal mining operation in an area that has not only been officially declared a protected area, but is also one of the country’s most important water resources zones. Yet that is what is happening in October when a coalition of environmental organisations go to the High Court in Pretoria to ask for a review of mining permissions granted by the department of mineral resources and approved by the department of environmental affairs. The underground and surface areas of the mine are to be located in the Wakkerstroom-Luneberg Grasslands, which is classified as endangered. Not only that, but the underground area lies within one kilometre of what the department of environmental affairs has itself designated as a freshwater system priority area. Even more worrying, given the environmental affairs department’s support of the mining venture, is that the department knows the area falls within an area identified in the Mining and Biodiversity Guideline of 2013, as having the highest importance for biodiversity and being at the biggest risk from mining. The 80-square-kilometer site is, according to activists, also one of 22 designated national strategic water resources. 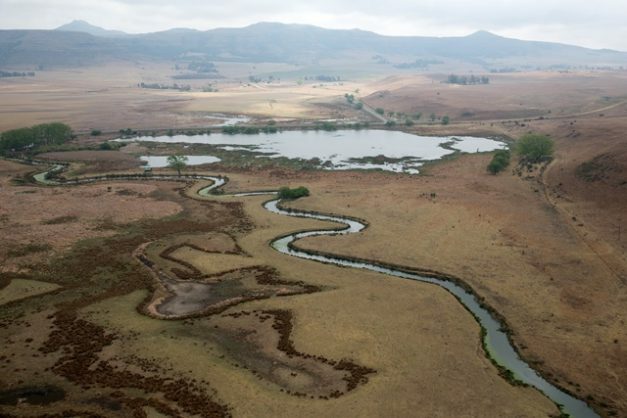 It is also a source for the Vaal River, already under threat. The mining company, Atha African Ventures, is based in India, a country not known for its commitment to protecting its own environment. Atha expects revenue of R1 billion in the first ten years. The case is critically important for the environmental future of SA, as it pits the supposed job-creating mining industry (550 new jobs) against nature. Mining is an environmentally ruinous way of making money. And we only have one unspoiled environment which, once it is gone, won’t come back again.